See my former post on “How to access two GTK+ widgets from a single callback function (using libglade)” for a different way of achieving the same thing. However, the method described below is the official way of doing things and thus to be preferred. GtkWidgets are derived from GObjects. They can be cast back and forth using the G_OBJECT() and GTK_WIDGET() macros. Use g_object_set_data() to attach a gpointer and its key to a GObject of your choice (find the definition at library.gnome.org). The pointers can then be retrieved wherever the GObject that they have been attached to, is available. This is done using g_object_get_data(). Attaching two pointers to two different GtkWidgets to the main window widget, will enable you to call on them from any callback function you use. I hope the code below may be useful to some people. 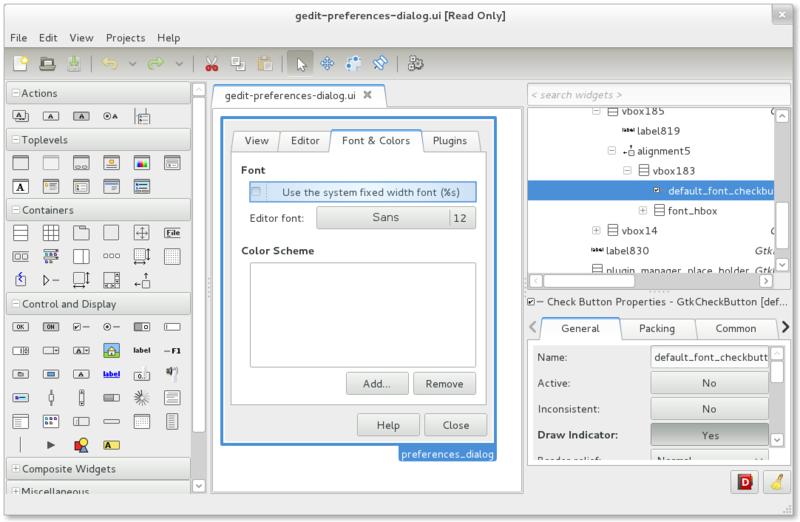 I am new to GTK+ myself so I am not sure whether this is the best solution, but it is certainly on of the better ones. Other solutions would be to use globals or possibly structs. where gxml is the main GladeXML file that was created using Glade-3. Look on Micah Carrick’s blog for information and tutorials on Glade. Using glade_get_widget_tree() we can get hold of the GladeXML file inside the callback function without using globals. From there is it easy, we simply use the glade_xml_get_widget() function to create the widgets we want. * then calls a function that works on both widgets.